"At the end of 1954, the golden year when the Lucas family first acquired a television, Disney aired four one-hour films about the life of a Tennessee congressman who lost his life in the Alamo. The company was caught off guard by the show's popularity, which led to an incredible $300 million merchandising bonanza in the space of a year. Kids went wild for the show's hero, pestering parents to buy his toy guns, sheets, watches, lunch boxes, underwear, mugs, towels, rugs, and pajamas. 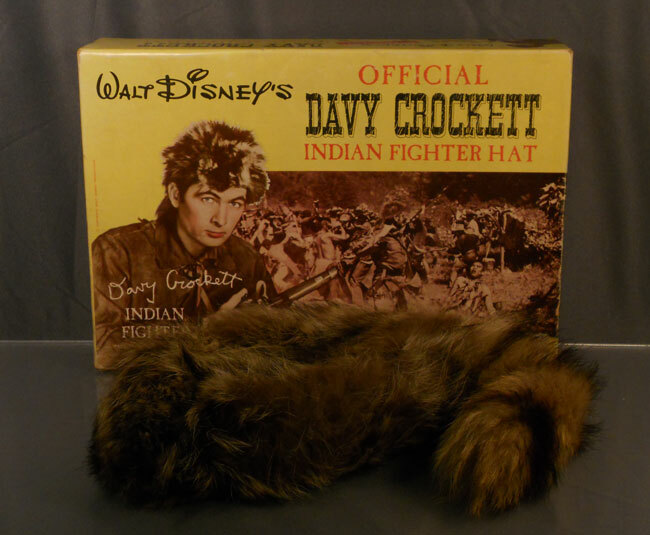 Most especially, they bought his headgear, a coonskin cap, which reportedly sold at a rate of five thousand caps per day in 1955 alone. The price of raccoon fur jumped from 25 cents to $8 a pound. "Most of the windfall went to independent sellers; at the time, licensing as we know it today simply didn't exist. But the young [George] Lucas saw the results all around him, stored the example away in his memory, and would draw on it some twenty-one years later as he labored over his third film. "In 1976, talking to Lippincott after shooting Star Wars, Lucas cast his mind back to this 1950s craze. He was trying to explain how his movie might just be the first feature film to have an impact in merchandising, and this Disney TV miniseries was the biggest merchandising hit in his memory. "Star Wars has generated more collectable paraphernalia than any other franchise on the planet -- but it had surprisingly little help from its creator. At one point in 1975, working on the interminable second draft and sipping coffee, George Lucas thought of dog breed mugs. They were all the rage in the 1970s. Wouldn't it be fun to have a mug that looked like a Wookiee? That, and the fact that R2-D2 looked like a cookie jar, were the only specific pieces of merchandise that Lucas has admitted envisioning while writing the film. "But Lucas knew the movie was ripe with possibilities for spin-off products. Having grown up the son of a stationery and toy store owner, having constructed his own toys, he remained fascinated by their potential and wasn't the least bit ashamed of his interest. When the director George Cukor told Lucas at a film conference in the early 1970s that he hated the term 'filmmaker' because it sounded like 'toymaker,' Lucas shot back that he would rather be a toymaker than a director, which sounded too businesslike. Movie sets were play sets; actors were action figures. 'Basically I like to make things move,' he said in 1977. 'Just give me the tools and I'll make the toys'. Toys 'followed from the general idea' of Star Wars, he told a French reporter later that year. "Before Star Wars, no one had ever made a dime out of toy merchandising associated with a movie. The previous attempt had accompanied Doctor Dolittle in 1967. when Mattel produced three hundred Dolittle-related items, including a line of talking dolls in the likeness of Rex Harrison and his menagerie. The producers licensed multiple soundtrack albums, cereals, detergents, and a line of pet food. They placed toys inside puddings and waited for the revenue to roll in. "Even though Doctor Dolittle was a hit, an estimated $200 million of its merchandise went unsold. And this problem with movie merchandise was not limited to the pre-Star Wars era. The Doolittle tale was to repeat itself with ET in 1982. ET was wildly successful -- it overtook Star Wars in the all-time box office stakes (at least until the Special Editions were released at the end of the next decade) -- but ET computer games and toys in the shape of the movie's alien protagonist had been overproduced and gathered dust on store shelves. Atari produced so many unsold ET game cartridges that it decided to bury them in a giant pit in the New Mexico desert. The movie was a charming story; it was not, as industry parlance had it, a particularly 'toyetic' story. The protagonist did not look especially cute in the cold light of Toys "R" Us. "In retrospect, of course, it seems obvious that Star Wars was the very definition of toyetic. The characters and vehicles were profoundly unusual, the uniforms (plastic spacemen!) bright and arresting, the blasters and lightsabers mesmerizing. Had it been a TV show, merchandising deals would have been no problem. Just look at the Star Trek toys, the dolls, the Starfleet napkins, the Dr. Pepper tumblers featuring Kirk and Spock that you could pick up at any Burger King in 1976. But Star Wars was a movie, not a TV show, and every toy executive in the mid-1970s knew that movies were here today and gone tomorrow. By the time manufacturers got their toys made in Taiwan, Star Wars would most likely be out of theaters and forgotten. "Still, as the release date approached, [Star Wars marketing chief Charley] Lippincott persisted. 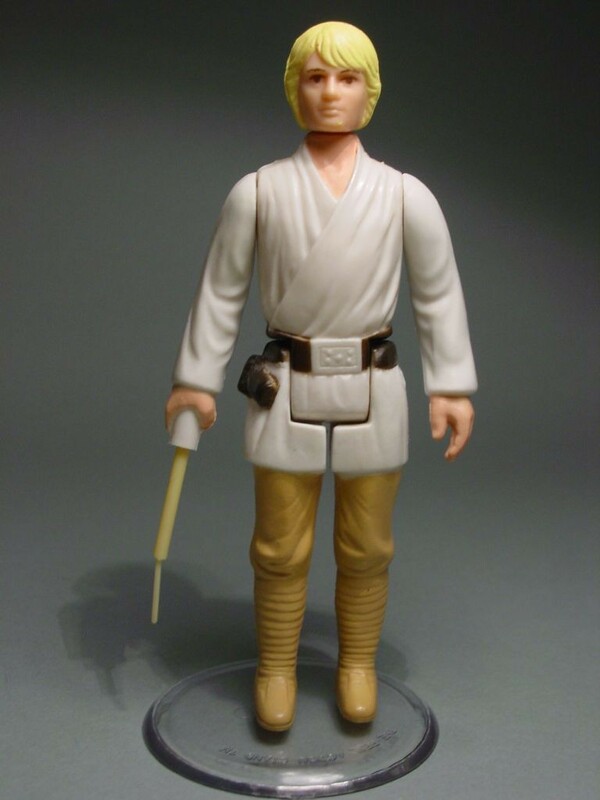 He tried to sell toy companies on the then-bizarre idea of Star Wars action figures. His top target was the Mego Corporation, which produced Action Jackson and a line of World's Greatest Superheroes. But the movie wasn't finished until the last minute, and with only still photographs from the film available for pitching potential merchandising partners, Lippincott struck out. Mego was importing a line of action figures from Japan called Micronauts. They were the best-selling toys in America. Who needed Star Wars? At the February 1977 toy fair in New York, Lippincott was asked to leave the Mego Booth. "More than $20 billion of merchandising has been sold over the lifetime of the franchise."